The artists of One Heart Jax - A Women's Artisan Cooperative will share their cultural heritage with hands-on art-making demonstrations. Come Join MJbaker and her Trio for the Cummer Museum Arts & Gardens for their annual Spring Celebration & Plant Sale. 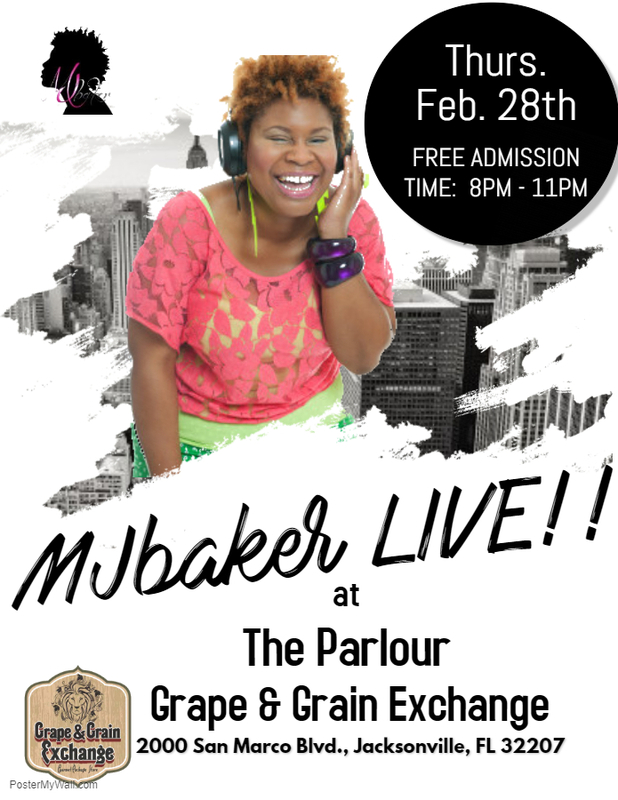 MJ and her band will be echoing melodic sounds of Jazz, RnB, Rock, Soul and more in the beautiful Cummer Gardens outside. 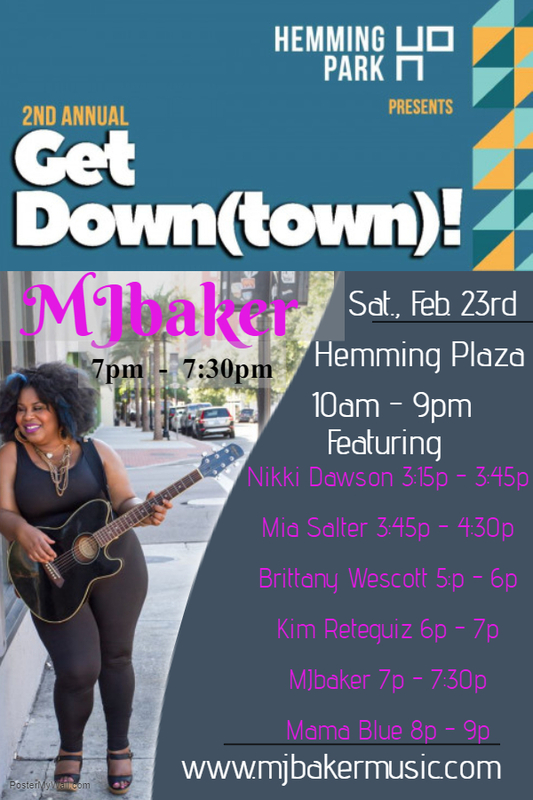 Don't miss Hemming Park's second annual Get Down(town)!, an all-day family friendly party celebrating African American culture. Music and dance performances with MJbaker, Mama Blue, Brittany Wescott, Kim Reteguiz, Niki Dawson and Mia Salter. . Artists, food trucks, adult beverages and much more.